The Calf Stretch: Place the leg you are trying to stretch in back. 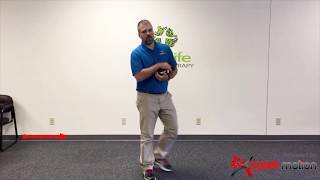 With your hands up against the wall and keeping your back heel down on the ground, lean your body forward. Your back toes should be pointed straight and you should feel the stretch in the back of your calf. It is important to keep your knee straight. Hold for 20 seconds. Repeat 3 times on each side. The Hip Stretch: Whichever leg you are stretching should remain on the ground. Place your other leg up on the second stair or on a chair. 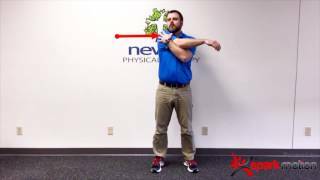 Lean forward until you feel a stretch in the front of your hip. Unlike the calf stretch, it is OK if your heel comes off of the ground. Keep your knee straight and your toes pointed forward. Hold for 20 seconds and repeat 3 times on each side. 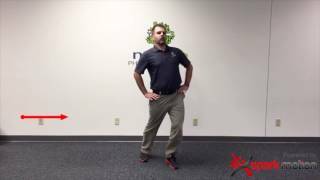 The Inner Thigh Stretch: with your legs greater than shoulder-width apart, put your hands on your hips and shift your weight side to side. Push your hips out as you transfer weight on to that leg. You should feel an inner thigh stretch with this. Rock back and forth 20 times. 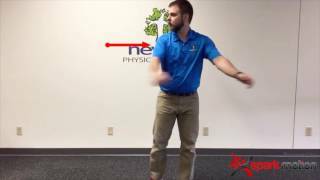 Have questions or concerns regarding these exercises? Do you feel you have a problem-area that these exercises don’t get to? 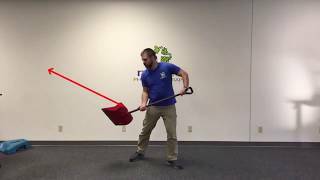 Give us a call and mention the code “Spring Walk” for $15 off our basic-self pay appointment where you can have a full movement screen and exercises tailored to your body and findings, or spend time in person getting these exercises down! 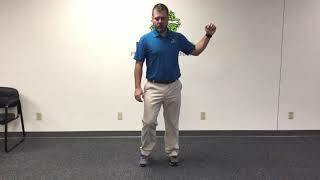 Top 2 Balance Assessments YOU can do at home! 1. 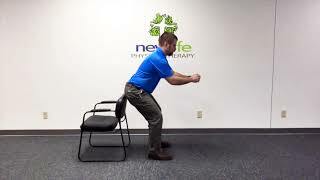 30 second chair rise test: sit in normal chair with feet firmly on ground, seated near edge of chair, arms crossed across your chest. 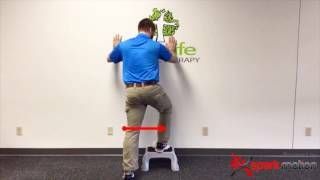 Start timer and begin to fully stand and fully sit as many times as possible (while maintaining balance/safety) in 30 seconds. Below are normal values for various age groups over 60 years old. How did you do?? Average? Above average? Below average? 2. 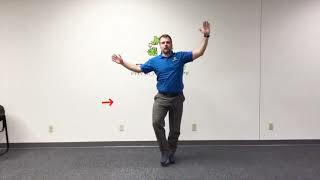 Single leg balance: standing on 2 feet near a counter or wall. 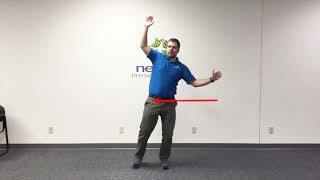 Attempt to raise one foot off the ground and without touching down or reaching out and touching the counter/wall, maintain balance as long as able. Below are age matched normative values. 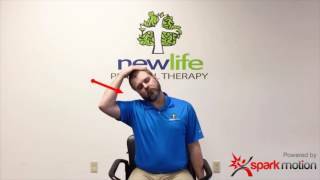 Contact your New Life PT team to set up your assessment today! Step 4: Get your sprING on! To get back up, reverse the steps shown, 4-1. 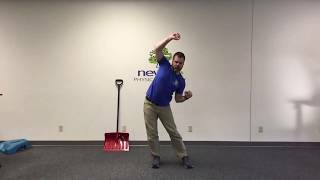 If you are unable to perform this due to balance issues, strength issues or pain, call your New Life Physical Therapist today to help reclaim an active life this Spring! 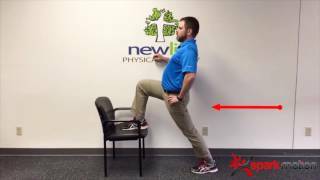 Contact your New Life PT team to set up your in-clinic move assessment today! The information, including but not limited to, text, graphics, images and other material contained on this website are for informational purposes only. The purpose of this website is to promote broad consumer understanding and knowledge of various health topics. It is not intended to be a substitute for professional medical advice, diagnosis or treatment. Always seek the advice of your physician or other qualified health care provider with any questions you may have regarding a medical condition or treatment and before undertaking a new health care regimen, and never disregard professional medical advice or delay in seeking it because of something you have read on this website. 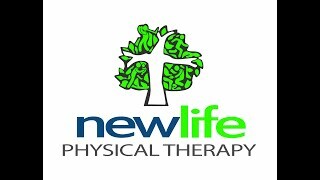 New Life Physical Therapy does not recommend or endorse any specific tests, physicians, products, procedures, opinions or other information that may be mentioned on this website. Reliance on any information appearing on this website is solely at your own risk. Check back soon! More information to come.